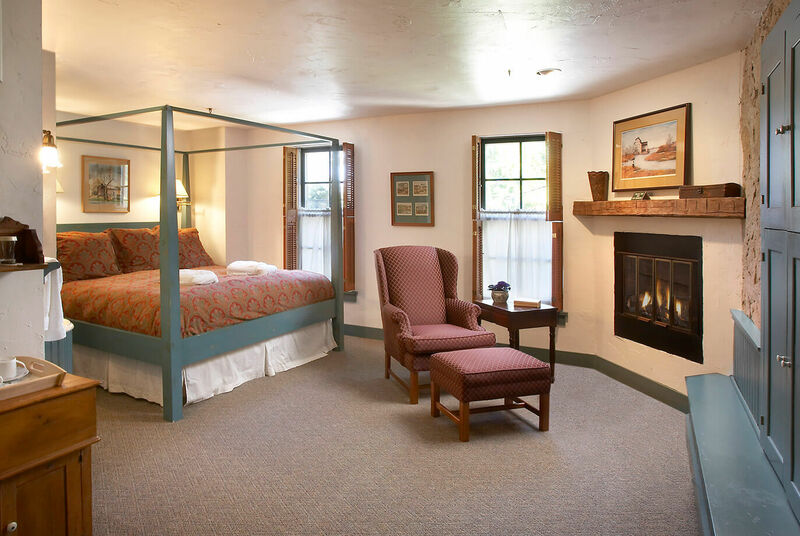 The Emil Herziger guest room is a two level suite, with a king bed, fireplace and bath/shower on the first floor. 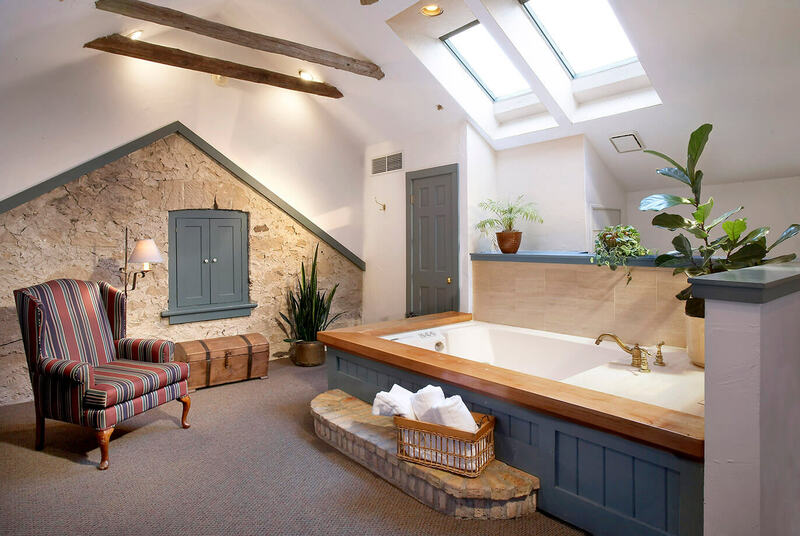 The second floor shows striking architectural detail with the original 1886 exposed stone roof line of our historic Cedarburg inn. 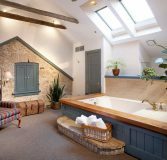 Lit naturally by skylight windows, this space holds a living area, an oversized Whirlpool bath and a second fireplace. 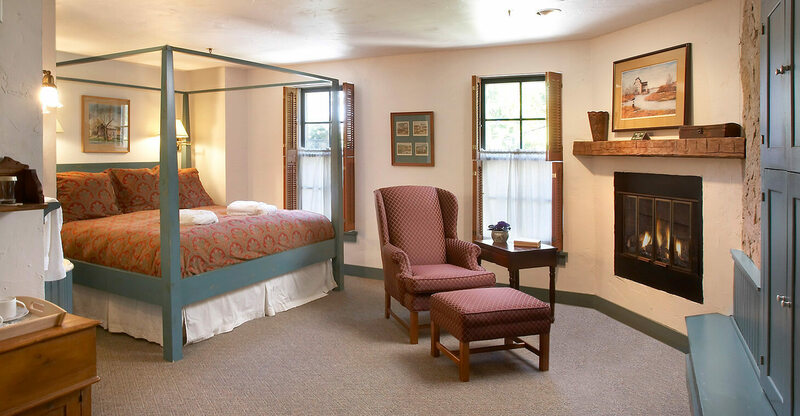 It is also equipped with a refrigerator and wet bar for convenience. 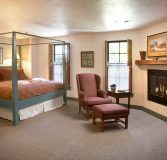 This luxury suite is far superior to any other room found at a standard hotel near Port Washington, WI.